Nestled among mountains and old-growth forests, we offer spectacular kayaking excursions, paddle boarding and adventure cruises. Our remote location brings you untouched natural beauty at its finest. Enjoy our 17kms of trails surrounding the resort with wildlife, waterfalls, and beautiful scenery every step of the way. 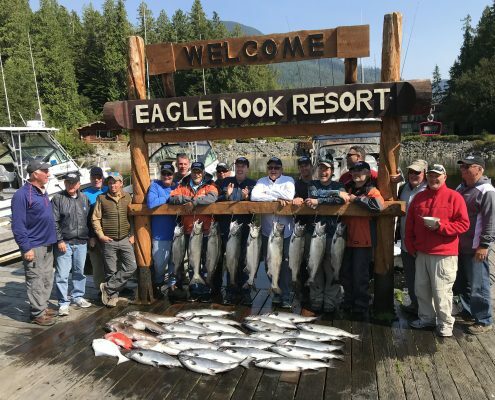 Eagle Nook Resort and Lucky Sportfishing are perfectly situated in Barkley Sound, one of BC’s premier destinations for salmon and halibut fishing.Whether you are an experienced angler or just beginning, our knowledgeable guides will ensure you have an unforgettable experience to last a lifetime. Get your team engaged and motivated on your next retreat with a fully customized experience tailored for your group. 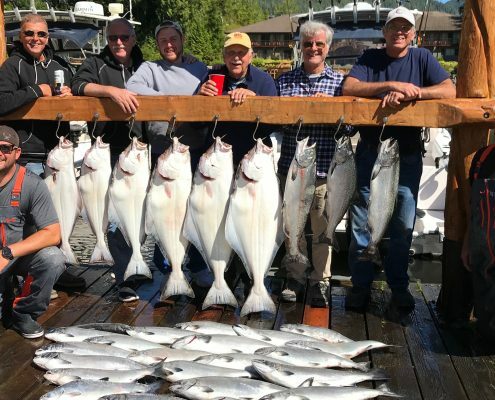 We can accommodate up to 40 guests, offering fishing charters, kayaking tours, adventure cruises and specialized team building exercises at the resort. We have groups coming back year after year! 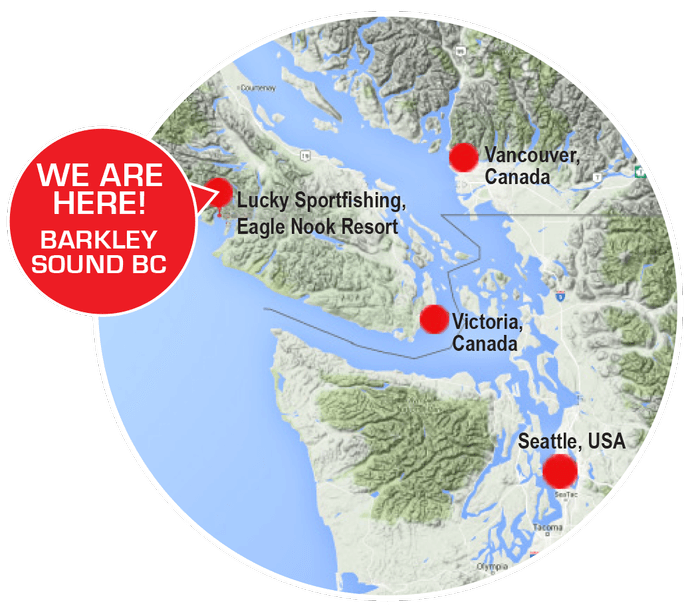 On the remote reaches of Vancouver Island’s west coast, surrounded by natural beauty, abundant wildlife and world-class fishing, you’ll find Barkley Sound, home of Eagle Nook Resort. 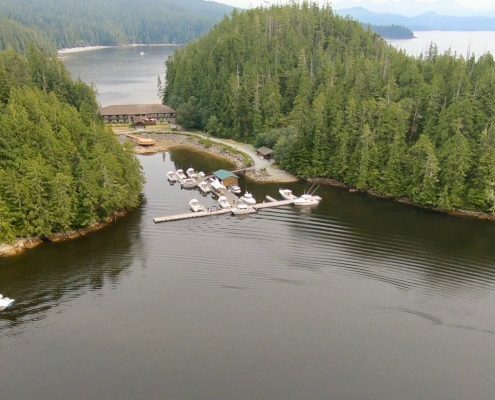 Accessible only by boat or floatplane, we offer a truly all-inclusive luxury wilderness experience. Come for adventure & excitement, relaxation & rejuvenation, or a little bit of both. 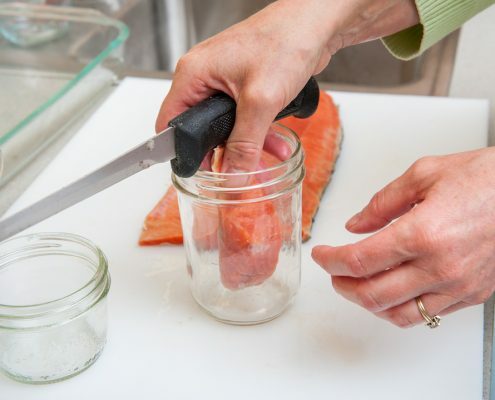 Once you’re here, we’ll take care of the rest. Reward your employees, spoil your clients or indulge with family and friends; we offer customizable all-inclusive packages to suit groups of all sizes. Relaxed fine dining, ocean views from all resort rooms, fully guided fishing charters, hiking trails, kayaking, paddleboarding and eco adventure tours. Eagle Nook offers the perfect place to escape for both adventure and relaxation. We guarantee it will be a place you return to year after year. Getting here is half of the fun! We have guests from all over the world and we make sure getting here is not only hassle-free, but a part of your adventure. 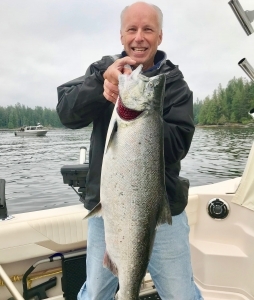 Included in any package is a pickup at China Creek Marina just 15 minutes outside of Port Alberni. Our water taxi will be ready and waiting for you in the harbour for the scenic 60 minute cruise along the coast to the Resort. 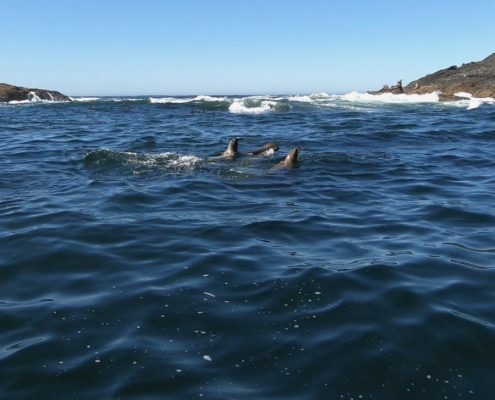 Or take in an awe-inspiring flight over Vancouver Island from Nanaimo, Vancouver, or Seattle. We will take care of all the details, from booking your flight to arranging a shuttle to and from the terminal. Click for more information. 2019 Fishing, Here We Go! https://eaglenook.com/wp-content/uploads/2018/09/Float-plane-coming-to-dock-1.jpg 779 1920 Samantha Hauca https://eaglenook.com/wp-content/uploads/2017/11/White-Shadow-2017-ENR-Logo-trans-e1512100309952-1030x405.png Samantha Hauca2019-03-26 12:18:412019-03-26 12:18:412019 Fishing, Here We Go!